This is yet addition to our growing Bulk Minerals collection. 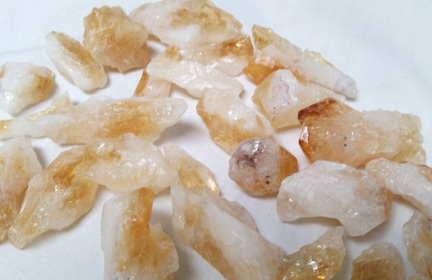 The Brazilian Bulk Rough Citrine stones are approximately 0.5"-1.25" in size, priced at just $3.00 per pound, and sold in 10 pound bags. Check out our other brand new BULK ROUGH MINERALS! Search "Bulk Rough" in your search bar!